January 25–26, 29–Feb 2, 2019 | 7:30 p.m.
March 29–30, April 2–6, 2019 | 7:30 p.m.
April 15–17, 2019 | 7 p.m.
May 2–11, 2019 | 7 p.m.  The Gordon College Department of Theatre Arts presented their fall play, Silent Sky, the true story of Henrietta Leavitt, an early-1900s Harvard astronomer who had to fight to gain recognition for her groundbreaking discoveries. Written by acclaimed playwright Lauren Gundersen and first produced in 2011, this was the first university production of Silent Sky in New England. Henrietta Leavitt was a vastly important but little-known scientist whose greatest contributions were dismissed until men claimed credit for them. At the time she was employed by the Harvard Observatory, women were not even allowed to use refractor telescopes and were instead relegated to painstakingly cataloging stars from photographic images on glass plates. Despite these limitations, Henrietta Leavitt thrived in her position and ultimately discovered thousands of new stars, paved the way for future discoveries by scientists such as Edwin Hubble, and earned a reputation as "the most brilliant woman at Harvard." Her tireless determination led to an entirely new and radical understanding of our universe. Box office: Tickets go on sale at the door in the Barrington Center for the Arts one hour before performances begin; limited quantities available. *For most performances, discount tickets are available for students, Gordon College faculty/staff, and senior citizens. Please bring your student/college ID to qualify.